Friends, I’m really excited to bring you today’s post. At the start of the new year, I was thinking about all the books I wanted to include on my anticipated reads of 2019 list, and so many of them were queer (we’re truly being blessed this year guys). But then I started wondering if other queer readers were anticipating the same books as me? So I did a little bit of planning and yesterday I posted my 25 most anticipated release for the first half of 2019, with hints that something new was coming today. That ‘something new’ is a brand new series on my blog, where queer readers give us five of their most anticipated queer reads of 2019. This will be a weekly series, posting every Thursday, and will feature a different reader/blogger every week. Today’s very FIRST instalment comes from Imi @ImiReviewsBooks, who is blessing us with five of her most anticipated queer reads for 2019, most of which are F/F. OK, fine, six of her most anticipated because she couldn’t narrow it down. 1. 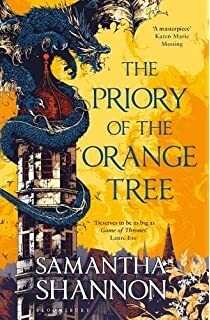 The Priory of the Orange Tree by Samantha Shannon – I’m cheating because I’ve read this so I guess I’m not anxiously awaiting release for any reason other than to see this book SOAR. This brilliant feminist reclaiming of high fantasy has the most beautiful slow burn F/F romance and together it’s ALL. I. HAVE. EVER. WANTED. 2. 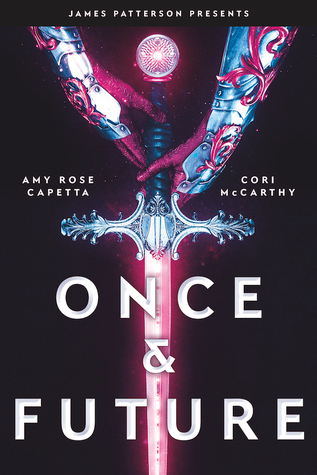 Once & Future by Amy Rose Capetta & Cori McCarthy – so Rock the Boat sent me an ARC for this the other week and I am SO EXCITED to dig in. But seriously, HELLO sci fi, futuristic, genderbent retelling of the King Arthur legend. YES PLS. 3. Wilder Girls by Rory Power – this has so many yeses for me, a) boarding school, b) F/F romance in a boarding school, c) feminist horror with an F/F romance in a boarding school. 4. The Devouring Gray by Christine Lynn Hermann – Having followed Christine since I heard about this release, I know this book is witchy vibes, likened to Raven Boys and Stranger Things and supposedly gayer than it seems and I am SO HERE FOR THIS. 5. 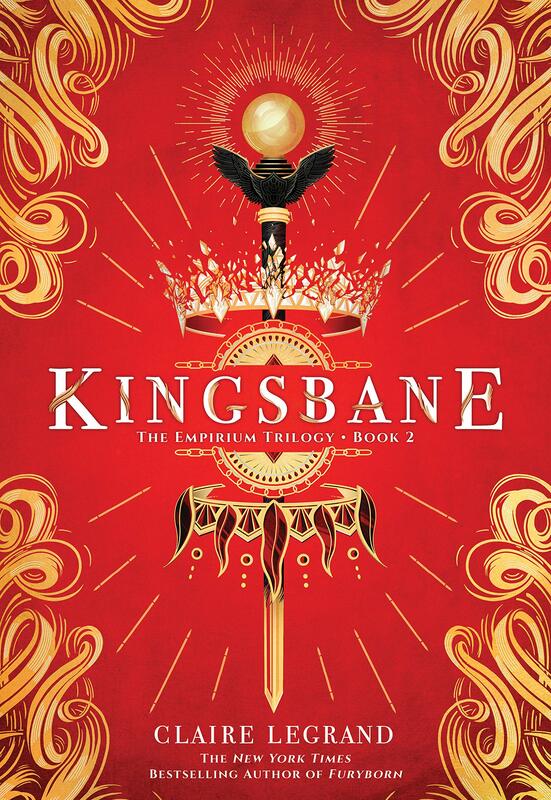 Kingsbane by Claire Legrand – the sequel to last year’s Furyborn which features two implied bisexual protagonists and for this one, I am HOPING AND PRAYING that it will be confirmed and we will SEE THEM. Claire Legrand is a queen and she will make this happen. 6. 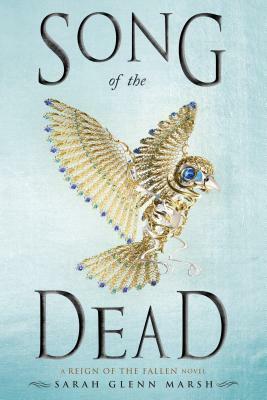 Song of the Dead by Sarah Glenn Marsh – I adored Reign of the Fallen last year and I am crazy excited for my F/F babes to go on more necromantic adventures. Writer at heart, reader in reality, Imi spends as much time as possible with her nose in a book. She adores fantasy and believes there is nothing better than being transported by words to another land/world/planet/universe. Beyond books, Imi is a singer, actor, traveller, photographer and theatre producer, though her day job is fighting pirates. And that isn’t even a joke. Find her on Twitter and Instagram, and check out her blog, Imi Reviews Books. What are some of your most anticipated LGBT+ reads for this year? Do you plan to read any of Imi’s six? Ah this is amazing, Kate! I’m looking forward to the next post in this series! Imi you picked some great books, I’m so excited for Priory! 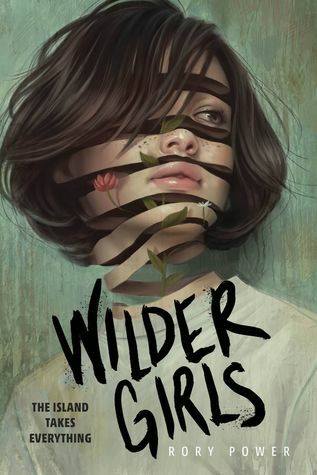 I hadn’t heard of Wilder Girls, but that book sounds great. I’m honestly sad because I’m gay yet the only reason I know of SOME of the queer books coming out this year is ’cause other bloggers or booktubers have mentioned them. Either way, I’m just ready for queer books in general. I am slowly making a mental list of some so I can make my year a lot queerer. what if i read all of these? becausei wannnnaaaa!! Once & Future sounds SO GOOD and I’m so excited to read it!! This is such an awesome idea and I can’t wait to see all of your future posts in this series! I too am SO excited for Priory, but I actually hadn’t heard of the others on this list, besides Kingsbane (I am yet to read Furyborn.. oops) but I am definitely going to add them to my tbr! fab post! I have an ARC of Once & Future and I’m so looking forward to starting it too! I hope it’s as good as the description sounds! This is such a great idea! I can’t wait to see the rest of the series. Imi is so awesome, great pick! I loved Song of the Dead so much – the rep is beautiful. Really excited for Wilder Girls and Once & Future. I love this feature! I’m always on the lookout for more queer books especially ones with bisexual rep! I haven’t read any gothic horror in YA, so I’ll need to check out Wilder Girls! Ah what a fab idea – I can’t wait to read more! I have Reign if the Fallen on my shelf so I definitely need to get around to reading that then! Aww thanks Jaz! The second installment will be up on Thursday 🙂 Reign of the Fallen of Song of the Dead both sound really good, so I hope you enjoy the first book when you pick it up!